Enjoy! 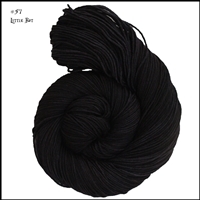 113 grams, 344 yard set of sport weight yarn. 100% superwash merino. US 4-6 (3.5-4.0 mm). Gauge 20-24 sts = 4 inches. Machine wash cool, dry flat. 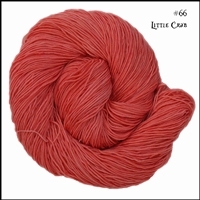 Mad Hatter is a soft and squishy plied sport weight yarn, hand-dyed in amazing colorways.